Professional Scrum with Kanban still requires Scrum as rule 0. This guide is based on the Kanban Guide for Scrum Team by Daniel Vacanti and Scrum.org. The Professional Scrum with Kanban class is stewarded by Steve Porter, Daniel Vacanti and Yuval Yeret. PSK does allow for Kanban upstream and “dare we say it”, downstream. 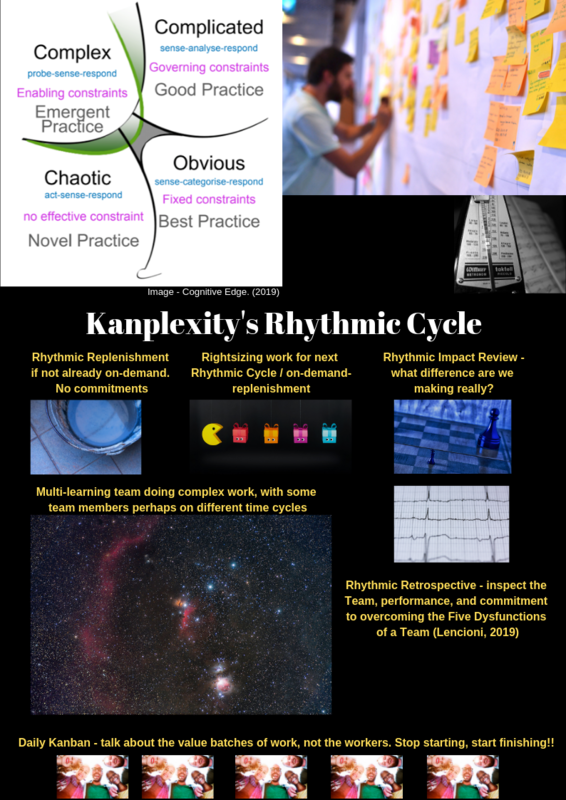 Yet, this Kanban for Complexity™ Guide for Teams and Servants has many differences to the Kanban Guide for Scrum Teams, and it shares an approach for dealing with complexity using Kanban.